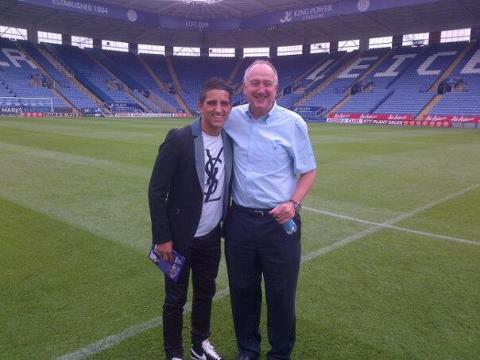 Leicester City's move for 20-year-old French winger Anthony Knockaert has been confirmed by the club. 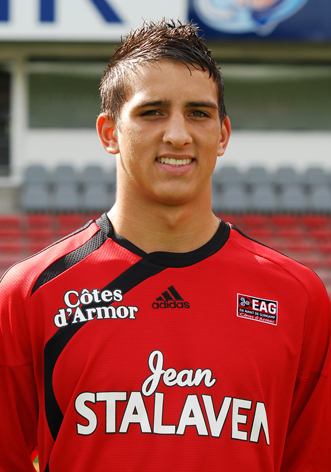 Knockaert played 59 games for Ligue 2 outfit En Avant de Guingamp since graduating from the academy of amateur side US Lesquin in 2009. A French under-20 international of ten caps - scoring four times for his country - Knockaert has netted 13 goals for the side from Bretagne. Newcastle United and French title chasers Montpellier HSC had also been linked with Knockaert, who plies his trade as a left-footed winger or striker. 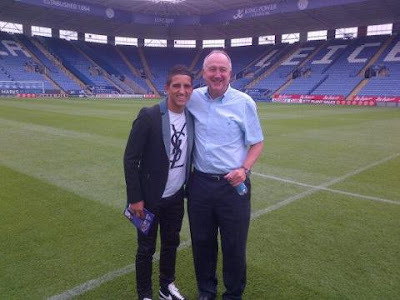 City have beaten both the Magpies and La Paillade to the player's signature, with earlier reports in the French press supported by a leaked image of Knockaert being greeted at the King Power Stadium by Leicester City's chief scout, Steve Walsh (below) and a brief statement on EA Guingamp's club website. Now, the Foxes' official website has published a statement revealing that Knockaert has signed a three-year deal at the King Power Stadium, with his Football League registration due for completion within the next twenty-four hours. What's up to every one, the contents existing at this web page are actually amazing for people knowledge, well, keep up the nice work fellows. I too am an aspiring blog writer but I'm still new to the whole thing. Do you have any helpful hints for beginner blog writers? I'd definitely appreciate it. Hello there, simply turned into aware of your blog thru Google, and located that it's truly informative. I am gonna be careful for brussels. I will appreciate for those who proceed this in future. Many people will be benefited from your writing. Cheers! What i don't realize is in reality how you're not actually much more well-favored than you may be right now. Its like women and men are not fascinated unless it's something to do with Woman gaga! Your own stuffs nice. At all times deal with it up! Hi to every one, as I am really keen of reading this weblog's post to be updated daily. It includes nice data. Hi there to every one, it's truly a pleasant for me to visit this web site, it contains helpful Information. read this weblog, and I used to go to see this website all the time. frequently. I am rather certain I will be informed lots of new stuff proper right here! Hello! This post couldn't be written any better! Reading this post reminds me of my old room mate! He always kept talking about this. I will forward this write-up to him. Fairly certain he will have a good read. Many thanks for sharing! Yes! Finally something about 100 per month online without investment. I'll make sure to bookmark it and come back to learn more of your useful info. Thank you for the post. I'll certainly return. if you were to create a awesome headline? I am not saying your content is not solid, but suppose you added something that makes people desire more? I mean "Foxes sign French winger Knockaert" is kinda plain. 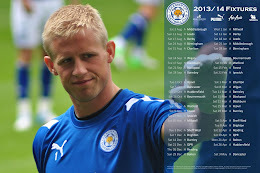 I don't leave a response, however after browsing a few of the remarks on "Foxes sign French winger Knockaert". I actually do have some questions for you if you don't mind. Could it be simply me or does it seem like some of the remarks look as if they are left by brain dead individuals? :-P And, if you are posting at additional sites, I'd like to keep up with you. Could you post a list of every one of your public pages like your linkedin profile, Facebook page or twitter feed? browsed. And on this article "Foxes sign French winger Knockaert". do have a few questions for you if it's okay. Could it be just me or does it look like a few of these comments come across like coming from brain dead individuals? :-P And, if you are posting on other online sites, I would like to keep up with you. Would you list all of all your social pages like your twitter feed, Facebook page or linkedin profile? be told was once a leisure account it. Look complicated to far added agreeable from you! until it is one thing to do with Woman gaga! Your personal stuffs outstanding. Hello there, You've performed an incredible job. I will definitely digg it and personally recommend to my friends. I am sure they will be benefited from this website. It seems that you're doing any distinctive trick. Moreover, The contents are masterwork. you have done a great process in this subject! in time i am reading this wonderful informative article here at my home. shoot you an email. I've got some recommendations for your blog you might be interested in hearing. Either way, great site and I look forward to seeing it develop over time. It's an amazing piece of writing designed for all the online visitors; they will get advantage from it I am sure. These are genuinely fantastic ideas in regarding blogging. You have touched some nice points here. What i don't realize is if truth be told how you are now not really a lot more neatly-liked than you might be right now. You're so intelligent. me individually consider it from so many numerous angles. Its like men and women aren't involved until it is something to accomplish with Lady gaga! Your individual stuffs nice. All the time take care of it up! Helpful information. Fortunate me I found your site by accident, and I'm shocked why this accident did not came about earlier! I bookmarked it. if you have to manually code with HTML. I'm starting a blog soon but have no coding skills so I wanted to get guidance from someone with experience. Any help would be enormously appreciated! appeared to be on the net the easiest factor to have in mind of. I'm gone to say to my little brother, that he should also pay a quick visit this web site on regular basis to get updated from most recent news update. Hello to all, it's really a pleasant for me to go to see this web page, it contains precious Information. regular basis, if so afterward you will without doubt obtain pleasant knowledge. I do agree with all the ideas you've offered to your post. They're very convincing and will definitely work. This post gives clear idea in support of the new users of blogging, that genuinely how to do blogging and site-building. and additional data, is there any other website which offers such stuff in quality? site to take most recent updates, therefore where can i do it please assist. I am shocked why this twist of fate didn't took place in advance! I bookmarked it. out a lot. I'm hoping to provide one thing back and help others such as you helped me. I am truly thankful to the holder of this web page who has shared this enormous post at at this time. Wow! At last I got a weblog from where I know how to really get valuable information concerning my study and knowledge. website by accident, and I am shocked why this coincidence didn't came about earlier! I bookmarked it. write content for you? I wouldn't mind creating a post or elaborating on most of the subjects you write in relation to here. Again, awesome web site! It's pretty worth enough for me. In my opinion, if all site owners and bloggers made good content as you did, the web will be a lot more useful than ever before. Hi friends, its wonderful paragraph regarding tutoringand completely defined, keep it up all the time. Hi there Dear, are you genuinely visiting this website daily, if so afterward you will definitely get pleasant experience. Howdy! This blog post couldn't be written much better! Going through this post reminds me of my previous roommate! He constantly kept talking about this. I'll forward this information to him. I stumbled upon it for him... lol. So let me reword this. ... Thanks for the meal!! But yeah, thanks for spending the time to talk about this topic here on your web page. Excellent post. I was checking constantly this blog and I'm impressed! Extremely helpful info specifically the last part :) I care for such info a lot. I was looking for this certain information for a very long time. Thank you and good luck. knows what they're discussing on the internet. You actually know how to bring a problem to light and make it important. More people ought to check this out and understand this side of your story. I was surprised that you are not more popular given that you surely possess the gift. article. I will be sure to bookmark it and come back to read extra of your useful info. working, no doubt very quickly it will be famous, due to its feature contents. Thanks , I've just been looking for info approximately this subject for ages and yours is the greatest I've discovered so far. I believe everything posted made a great deal of sense. However, consider this, what if you added a little content? to grab people excited about everything've written. In my opinion, it would bring your blog a little bit more interesting. It's pretty value sufficient for me. Personally, if all web owners and bloggers made just right content material as you probably did, the net will likely be much more useful than ever before. simply keep visiting this website and be updated with the newest information posted here. love the theme/design), I don't have time to go through it all at the moment but I have bookmarked it and also added in your RSS feeds, so when I have time I will be back to read more, Please do keep up the superb job. about here? I'd really like to be a part of group where I can get opinions from other knowledgeable individuals that share the same interest. If you have any recommendations, please let me know. Kudos! What's up, just wanted to mention, I liked this post. It was practical. Keep on posting! I believed this publish was once good. I do not recognize who you might be but certainly you're going to a well-known blogger for those who aren't already. the conversation. It is triggered by the passion displayed in the article I browsed. And on this article "Foxes sign French winger Knockaert". I was moved enough to drop a thought ;-) I do have a few questions for you if it's okay. Could it be just me or do some of these remarks come across as if they are left by brain dead people? :-P And, if you are writing at additional sites, I'd like to follow you. I'm gone to tell my little brother, that he should also pay a quick visit this webpage on regular basis to get updated from hottest reports. just like to say cheers for a fantastic post and a all round exciting blog (I also love the theme/design), I don't have time to browse it all at the moment but I have saved it and also included your RSS feeds, so when I have time I will be back to read a lot more, Please do keep up the great work. keep up the nice quality writing, it's rare to see a great blog like this one today. I'd really like to be a part of online community where I can get suggestions from other experienced people that share the same interest. If you have any suggestions, please let me know. Thanks a lot! I'll bookmark your weblog and take a look at once more here frequently. I'm slightly sure I'll learn lots of new stuff proper right here! Best of luck for the following! this post was good. I don't know who you are but definitely you are going to a famous blogger if you are not already ;) Cheers! I've learn some just right stuff here. Certainly worth bookmarking for revisiting. I wonder how much effort you set to make one of these wonderful informative web site. I every time emailed this blog post page to all my associates, as if like to read it then my links will too.